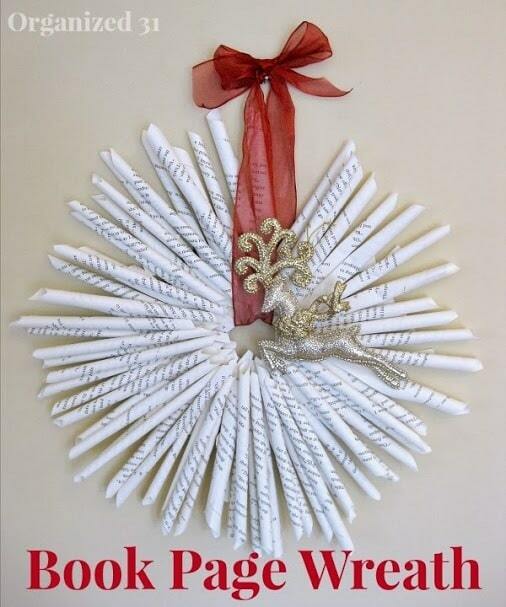 If you’re looking for an easy Christmas project, you’re going to love this DIY Fleece Wreath! You only need a few simple items and the whole project costs less than $5. 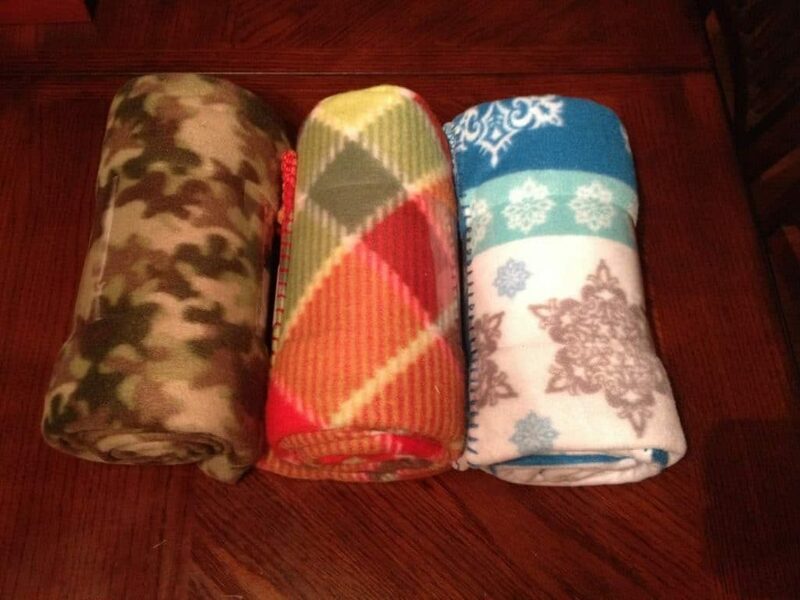 You may have noticed that I don’t post a lot of craft projects here on Wondermom Wannabe. That’s because I am a horrible crafter. I lack any artistic ability whatsoever so I can only tackle the simplest of crafting projects. This project was so easy that my 6-year old daughter completed one of the fleece wreaths all by herself (minus the fabric cutting, which I did). 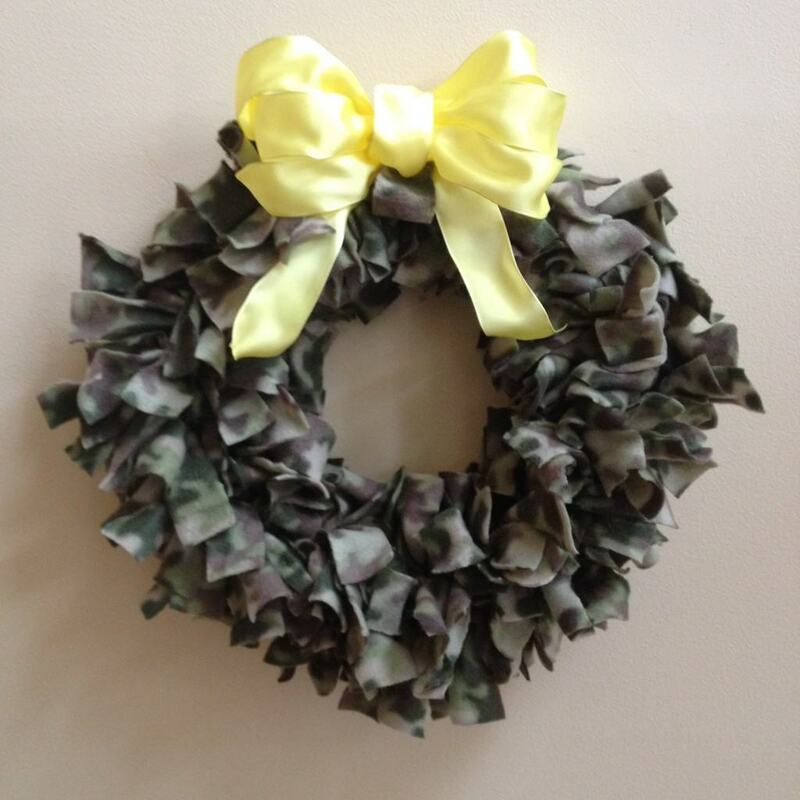 Camouflage may not be everyone’s first choice, but we are a military family with lots of military friends so I knew this would make a great gift for one of them. The first step is to cut the fleece into strips. My strips were 1 ½ inches wide and 6 inches long. A cautionary note: although all of the fleece throws were the same brand, they were very different in terms of elasticity. The blue and white fleece didn’t stretch at all and the camo fleece stretched like a rubber band. Consequently, it took many more strips of camo fleece to complete the wreath and the strips appear longer on the completed wreath, even though all my strips were 6 inches long. So, give your fleece a “stretch test” first. If it’s stiff, cut longer strips (maybe 8 inches) and if it’s super stretchy, cut shorter strips (4-5 inches). 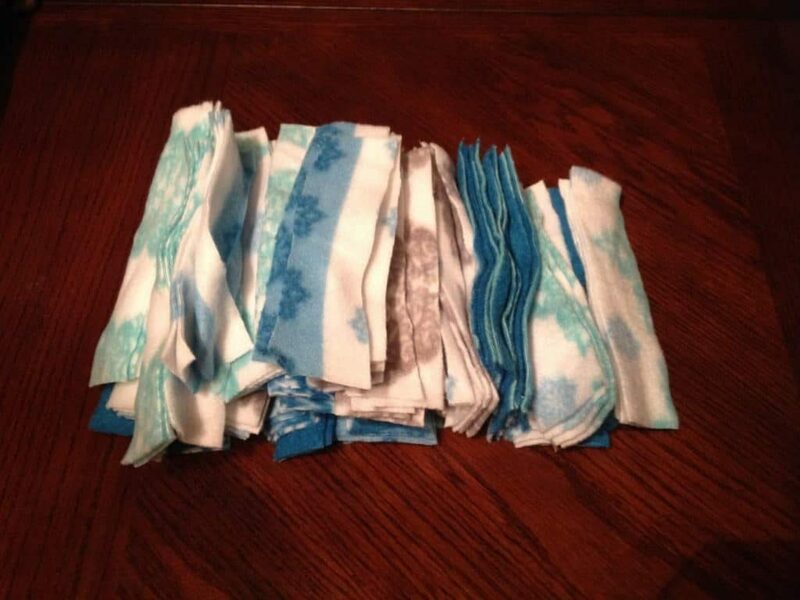 Also, for stiff fabric, plan on using 100-125 strips and for stretchy fleece, plan on 150-200 strips. 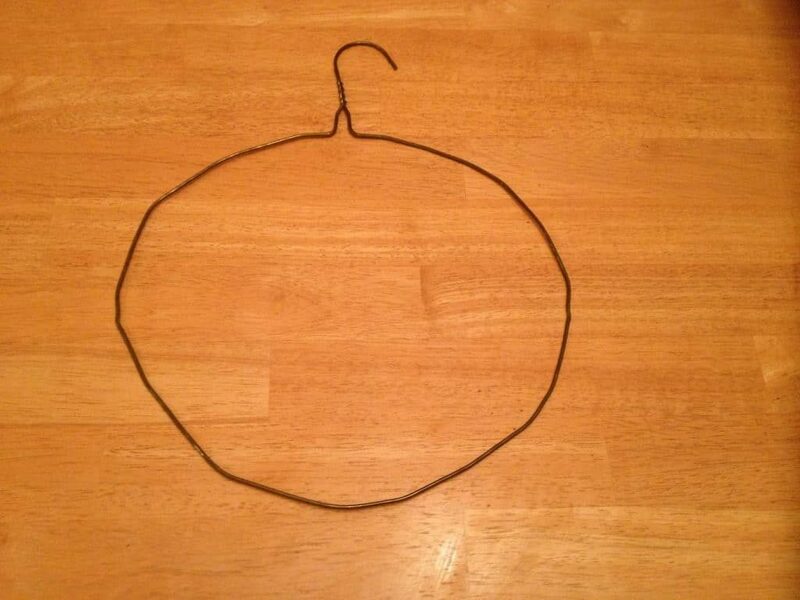 After you have cut the fleece into strips, take a wire hangar and shape it into a circle. Next, you simply tie the strips onto the wire hangar one at a time until you have completely covered the hangar. You only need a simple tie (like how you begin when you are tying a shoe), but pull it tight. You don’t need to make a knot. Be sure to push the strips together as you tie them on so that once you have filled the hangar they won’t move around and expose bare spots. My daughter tied with me while we watched Sofia the First. We finished all three before the episode was over. Once you’re done, fold the top of the hangar down to form a circle instead of a hook. 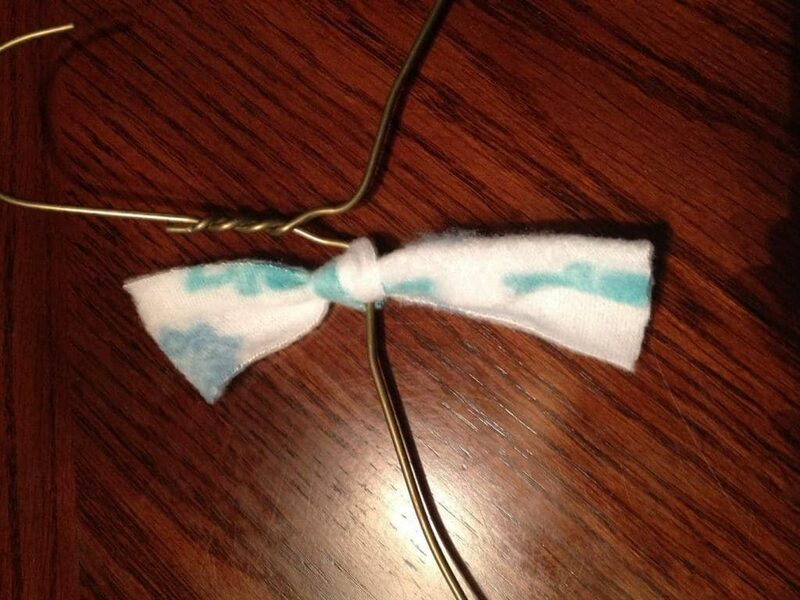 Cover the remaining wire with yarn that matches the fabric and you now have a built-in hanging hook! 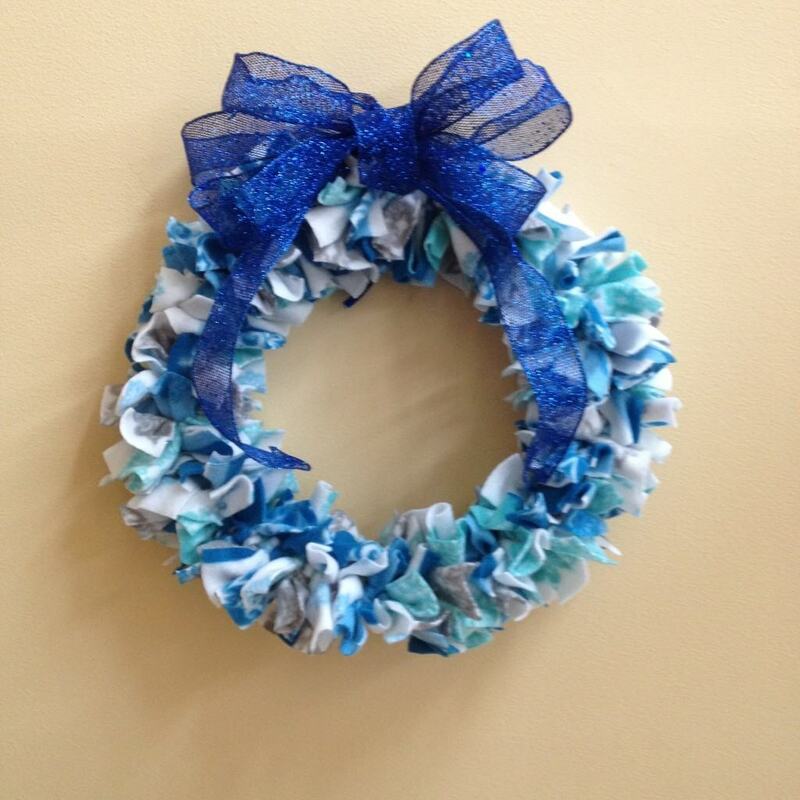 To complete the wreath, add a decorative bow. I bought the bow for the red and green fleece wreath at the dollar store, making the grand total for the wreath $3.98 + tax. 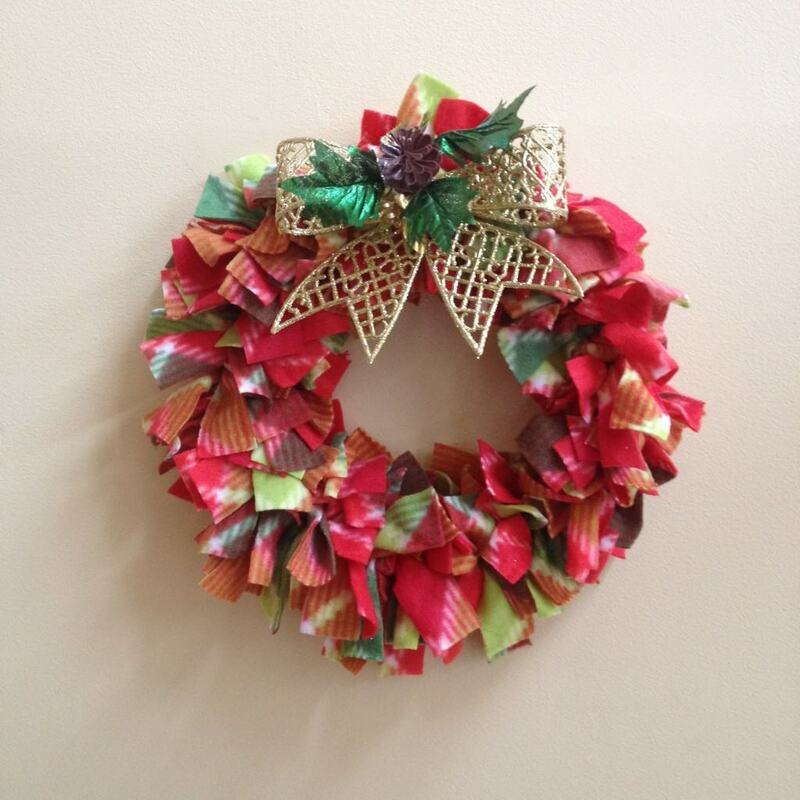 For the other two wreaths, I picked up ribbon on sale at Michael’s for 50% off so ended up spending $3 on each roll. I only used half the ribbon from each roll to make the bows though, so the grand total for each of those wreaths was $4.48 + tax. 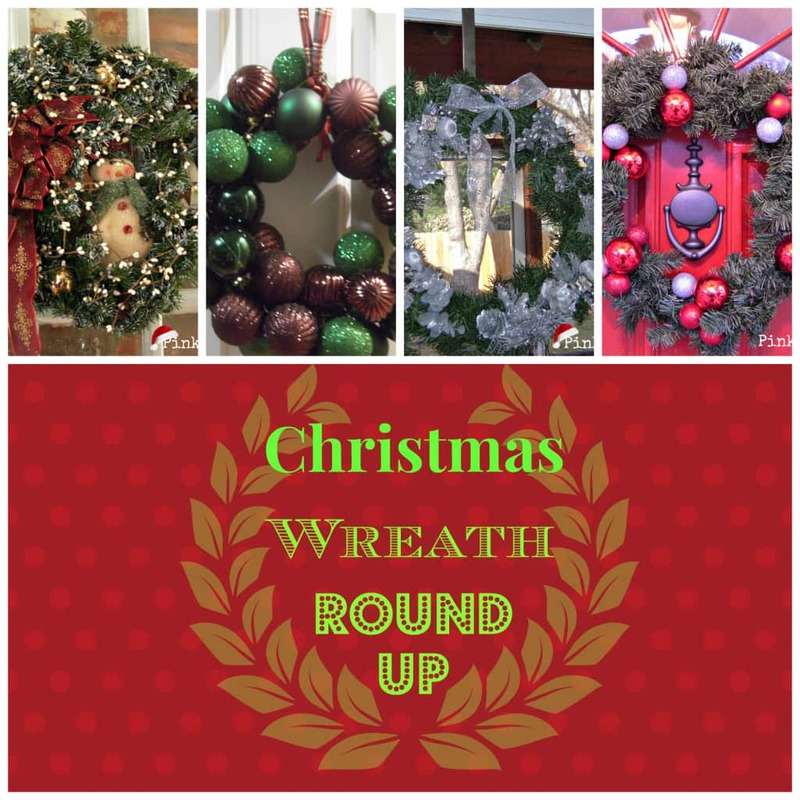 Looking for more wreath ideas? Check out some of these great ones from other blogs. Previous Post: « FLASH SALE at Craftsy–Save Big On Yarn & Fabric! Beautiful wreaths I have to make a few of these for some of my relatives! And, course for myself too! 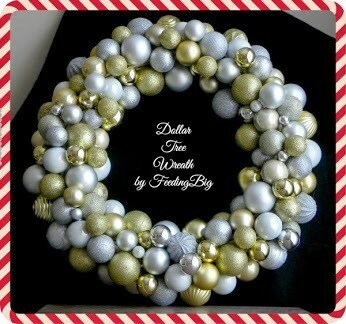 I adore these wreaths!! I am pinning for later so I can make a Seahawk one! !